Valuable things are not necessarily expensive (Confucius did not say that)! In fact, expensive things might lose their value if they are not taken care of. Inexpensive things might gain value if they are maintained in great condition. When it comes to garage doors (and you don't have the money to get expensive new installations), go for the second choice! With the means and ways available today, Garage Door Repair Saginaw can assure you that you can make a reasonable (in terms of garage door prices) choice and still have a very expensive door. How? Let us explain. We all know that expensive means high-priced (there is no need to open the dictionary). The question is why are some things expensive? Highly-priced products are supposed to be made of quality materials, last longer, have unique designs and do their job better. Let's go back to garage doors. Are the more expensive ones the most reliable ones, too? There is no doubt that expensive choices (whether we are talking about doors or garage door openers) have more features, are more resistant and are made of greater materials. That's all great, but will these qualities keep the door equally valuable a few years from now? Keep reading to find out! Are expensive garage doors valuable? There is no denial that by choosing expensive doors, garage door parts and operators, you invest in a quality system. This is a good start, but the value will be lost (or cancelled for that matter) if you fail to maintain them properly. If you have the money to get expensive/quality doors and the brains to maintain them right throughout the years, the door will still have the same value ten years from now. This is the best combination. If you have the money, but lack the brains, things will change in the future. The door won't be as resistant as it was when it was brand new and you will have several problems. Which one will you choose? 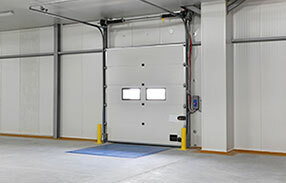 An expensive, yet poorly maintained overhead door or an average priced door, which is perfectly maintained? 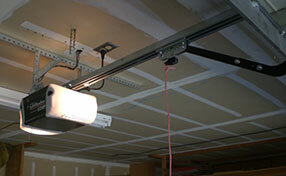 Value over the years comes with regular garage door maintenance. If you fail to take care of the system, it will fail you, too. So, don't worry if you can only get an average door. Most systems are pretty reliable today and can also be upgraded over the years. There are choices among materials, electric operators integrate the basic safety features and there is a plethora of options. If you keep maintaining them, repairing damage and replacing ruined parts on time, its value will be higher than the most expensive (and non-maintained) garage door in the world.